WASHINGTON — Top House Democrats, anxiously awaiting the findings of the special counsel, Robert S. Mueller III, insisted on Sunday that their own investigations must go on regardless of whether the Justice Department accuses President Trump of wrongdoing. Expecting the “principal conclusions” of Mr. Mueller’s 22-month investigation to be made public by Attorney General William P. Barr as soon as Sunday afternoon but lacking any information on its findings, they sought to play down Mr. Mueller’s investigation into Russia’s election interference and possible ties to the Trump campaign as a relatively narrow endeavor that does not relieve Congress of its own oversight responsibility. Mr. Nadler, whose committee would oversee a potential impeachment of the president, said that it was “way too early” to discuss such a remedy and that Congress must first see Mr. Mueller’s full report and evidence — not just a summary from Mr. Barr. Republicans, meanwhile, were eager to portray Democrats as already disappointed by the mystery report and poised to overreach their authority in a desperate effort to damage Mr. Trump politically. Neither side, to be clear, is in a position to know. 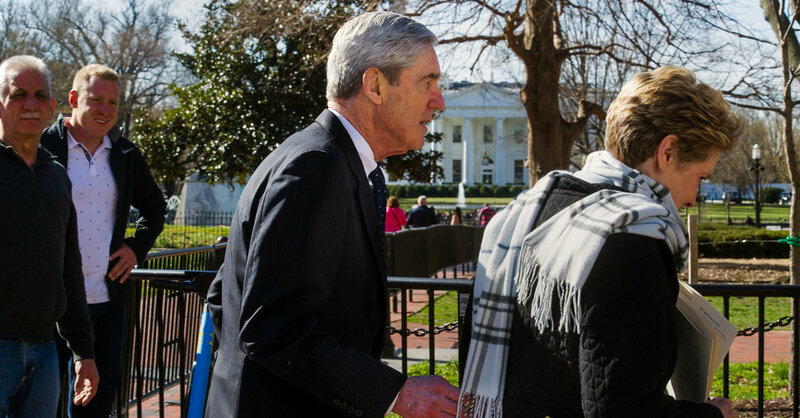 Mr. Mueller delivered his full report to Mr. Barr on Friday and its contents have been shared only with a small group of top officials at the Justice Department who spent Friday night, Saturday and early Sunday scouring it to produce a document to share with Congress. Hogan Gidley, a White House spokesman, said that as of Sunday morning, the president’s team had not been briefed on the report. Rumors have blossomed in that information vacuum, and critics and defenders of the president have increasingly traded shots over what they think the report will say. In a tweet on Saturday, Rudolph W. Giuliani, Mr. Trump’s personal lawyer, asked Representative Adam B. Schiff of California, the chairman of the House Intelligence Committee, to apologize for saying there was public evidence of collusion between Mr. Trump’s team and Russia. But Mr. Schiff, appearing on ABC’s “This Week,” was prepared to make no such recompense. Instead, he said his committee had seen evidence of collusion — in public reporting and the special counsel’s indictments. “Mr. Giuliani would be wise to do something he has rarely done, and that is wait till we see the facts,” Mr. Schiff said.